Is your garage door broken? Do you need servicing, repairs or a replacement? Going above and beyond to provide Markham residents exceptional garage door service and selection! Thanks to our ever-expanding loyal customer base, we have expanded our locations to Whitby, Scarborough and Mississauga — each dedicated to providing the highest quality products, personalized solutions and exceptional customer experience. When it comes to upgrading the look of your Markham home’s exterior, we have the experience of over 20,000 installations and dozens of daily service calls, we are your trusted source for everything garage doors. We also offer a wide selection and service to Markham business owners who need the best in commercial garage doors and accessories. Please give us a call and experience what it’s like to deal with an honest and friendly local company. Or, visit our showroom to visualize, touch and learn about the garage products we provide. Markham Garage Doors is an award-winning company that offers service, repairs, maintenance and installations for all types of garage doors. As a full-service company, we offer everything you need; fast affordable service, new garage doors, garage door openers, parts, and sometimes just helpful advice. Our aim is to always meet and exceed your expectations. We are the area’s top choice for home and business owners who want fast, professional, high-quality garage door products and service – all backed by the best warranties, knowledgeable staff, friendly service and unbeatable prices. Markham Garage Doors provides same-day service and repairs for springs, cables, panels, gears and photo-eyes. We believe that you deserve punctual service because your time is very valuable. Additionally, we offer a free, on-site consultation to match samples to your property, and to ensure that you get the best garage door for your home or business. We’ll explain your options, inspect your garage and fittings, answer your questions and find the right solution for your needs. We are locally owned and operated so you know if your garage door breaks, we are just around the corner. We have the lowest hourly rate on service and always give accurate quotes over the phone so that there are no surprises. At Markham Garage Doors, we believe a garage door or opener is only as good as the installer. 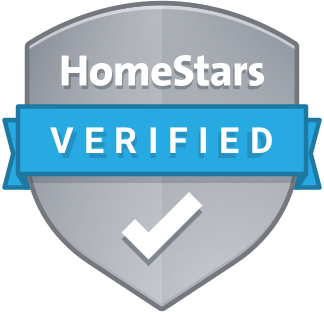 Rest assured our installers are the best and your experience will be enjoyable. Markham Garage Doors provides the largest selection of residential and commercial garage door products and accessories throughout the Markham area. Our team of friendly and experienced garage experts provides individualized attention to all of our local customers — recommending the highest-quality products from leading manufacturers like Clopay® and LiftMaster and finding unique solutions that suit your specific needs, improve your daily conveniences and fit your budget. At Markham Garage Doors, our team is dedicated to always providing Markham homeowners with attractive and dependable garage door products. All of our Clopay garage doors are crafted from the finest quality steel, aluminum and wood available, and extensively tested against the harshest climates to ensure lasting durability and beautiful appearances. Our residential garage door products are safe, easily maintained and energy-efficient. Along with quality construction, these doors are designed to feature today’s latest visual aesthetics, including a variety of colour and stain options, hardware and window texture options. For every new garage door installation, we’ll also help maximize your door’s performance and efficiency with a state-of-the-art LiftMaster garage door opener. We stock the latest opener models featuring the most advanced upgrades available today, including Wi-Fi connectivity and MyQ, Security+ 2.0 with rolling door codes, timer-to-close and battery backup. No matter what type of industry you work with, you can understand the importance of maintaining efficiency, security and lasting value. And with a sturdy commercial garage door, business owners can address these operating needs and improve their overall daily performance. At Markham Garage Doors, we have a large stock of Clopay commercial garage door products and accessories, including steel overhead doors, roll-up sheet doors and security doors. If you’ve ever been trapped inside your garage or stranded outside of it, then you understand how inconvenient garage door breakdowns can be. At Markham Garage Doors, we understand the importance of having a properly working and dependable garage door system, and that’s why we respond to all commercial and residential garage door repair needs quickly and professionally. Our highly trained and experienced team can help with any type of garage door repair need, including broken spring and cable replacements, off-track doors or malfunctioning garage door openers. We provide same-day repair services using only the highest-quality tools and equipment available to ensure lasting repairs. Markham Garage Doors is the premier expert in residential and commercial garage door installation, repair and maintenance for homeowners throughout Markham, Ontario, and the surrounding communities — including the Aurora, Newmarket and Richmond Hill areas. Learn more about our garage door services by visiting our Markham showroom, speaking to one of our team members at 905-472-9178, or completing our online contact form.